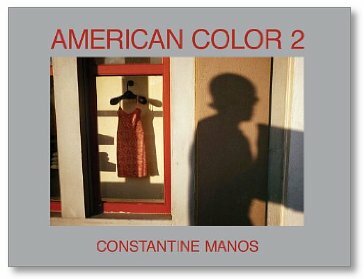 "How much you enjoy Constantine Manos's follow-up to the much-praised American Color (1995) will depend whether you consider 'color' a theme compelling enough in itself to sustain a rewarding photobook. This is not to say that Manos has conceived a dryly formal or simply superficial book. In his perceptive preface to American Color 2, he describes his approach as 'personal documentary' - motivated by formal experiment but also touching on a documentarian's concerns (Manos has been a member of Magnum for over forty years). For the work here, he focuses on American leisure in a handful of resorts, fairs and amusement parks in (mainly coastal) cities around the country."